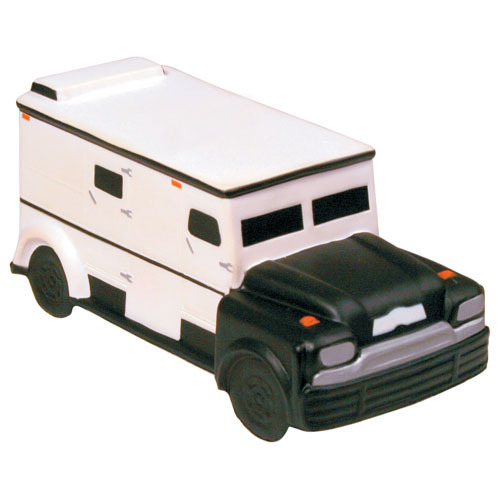 Armored car shaped stress reliever is a fun and memorable way to promote your business. Built tough to relieve your customers and clients stress away! Ideal for security and armed car services! Products are not intended for use by children or pets. They may present a choking hazard to children under 3 years of age. Item Size : 4.75" x 2.5"